One of the most essential mixing tips when working with low frequencies is to exercise the “less is more” approach. These days, low frequencies are more pronounced than ever in popular music, with hip-hop and EDM-inflected pop dominating the charts. But in order for the low frequencies you want to shine, you need to tame the ones you don’t want. The human ear can only hear so many frequencies, but luckily, digital audio workstations give us helpful tools like EQ spectrums so we can see where our audio is landing on the frequency scale. A beefy 808 should be most pronounced below 200Hz — whereas a hi-hat really has no good reason to have frequencies in that below 200Hz area. No one is listening to a hi-hat for the low-end, just like no one is listening to an 808 kick for frequencies above 10,000Hz. When the two start to get in each other’s lanes, the mix can start to mud and feel cluttered. But it doesn’t have to be that way. A smart producer or mixer will know to tame unwanted low frequencies in instruments that don’t call for a pronounced low end, such as most hi-hats. So, let’s get into the weeds about when and why you should tame those unwanted low frequencies. Low frequencies are some of the easiest to clutter. When dealing with frequencies below 200Hz, a lot of the sound being created might not even be audible because it’s so low. However, if you can’t hear it clearly, you can feel it — because it rumbles. Picture all the times you’ve been in a loud concert or club and felt the bass shake through your body as if there was a minor earthquake beneath you. Those low frequencies are very sensitive to becoming cluttered and muddy, and if there’s too much going on, they’ll mask the other frequencies in your mix. 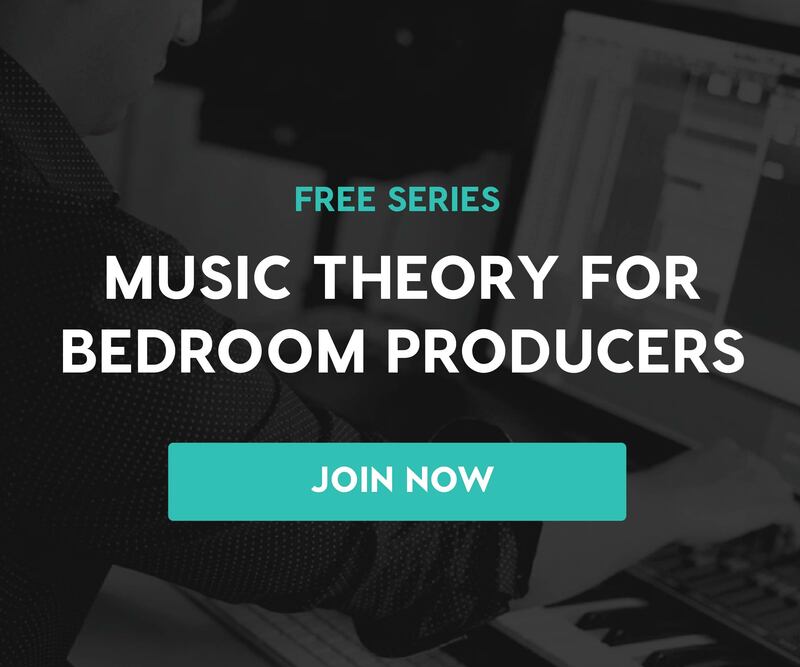 + Learn more with Soundfly: Expand your low-end sonic palette by learning the ropes of synth-bass setup and technique in the free course Synth Bass for Bass Players. High-frequency instruments tend to be lead instruments — let them breathe. A surplus of unwanted low frequencies can overwhelm mid and high-frequency instruments like vocals, guitar, piano, and strings. Typically, these instruments are the most important in terms of communicating melody, lyrics, emotion, and chord progressions. Think about it — there are plenty of incredible songs with just mid and high frequencies, but what popular songs are just rumbling low frequencies? Sure, if you’re in an experimental band, that could be cool. But the forefront of popular music — from classical to jazz to rock to pop — has been defined by the mid to high-frequency instruments. So, when you have unnecessary low frequencies in your mix that mask those more prominent musical passages, it not only clutters your mix, it weakens your song’s ability to connect and communicate clearly. Some low frequencies just don’t belong — cut them out. Like we mentioned in the intro about hi-hats, certain instruments really don’t need low frequencies to be present. For many producers who are relying on samples or recordings of old music, you aren’t always able to get your hands on a sample that was recorded mix-ready. So, for example, if you have a sample of some shakers — before you move on and forget about them, throw on an EQ spectrum to see if there are unwanted frequencies in the low end. Oftentimes, samples will have unwanted clutter that needs to be cleaned up, and not all of it will be easy to hear. You have to actually look at the EQ spectrum. + Learn more with Soundfly: Here’s just a snippet of our brand new mentor-driven course, Faders Up: Modern Mix Techniques, that features input from nine of today’s top sound engineers. Check it out, or sign up for the “On The Fly” mailing list to the right for access to exclusive discounts! You might be thinking, “If I can barely hear the low frequencies in this shaker sample, why do I have to cut them out?” The answer is that if enough of those unwanted, unnecessary low frequencies build up, the low-frequency instruments that are actually important to your song will have to battle with them for clarity. If your clap has too much low-end frequencies that don’t contribute anything to the quality of the clap, once your bass comes in, those frequencies are going to clash. Keep your effects clear of unwanted low frequencies, too. Okay, so say you’ve read this far and you’ve maybe gone into your mix to mess with some vocals. You realize there is more going on below 200Hz than necessary to make those vocals work, so you cut that out and let them shine in a more fitting frequency range. But then, you decide you want to put some reverb on the vocal chain. If that reverb has a trail with low-end frequencies, you’re going to run into the same problem again. Whether it’s reverb, delay, distortion, or whatever creative effects make your music shine, make sure the trails coming from those effects are within a frequency range that will add to the quality of your mix, not make it sound muddy. Low-end frequencies have an important role today in music today, especially since electronic production is becoming more and more prominent. A good 808 or sub-bass line can add powerful layers that make your music more emotional and heavy-hitting. Can you imagine The Weeknd’s “The Hills” without all of the bass? But if his vocals and the hi-hats and the snares had a bunch of unwanted low frequencies, you can bet that bass would not be nearly as clear or impactful. There are tools like sidechain compression that help make sure frequencies don’t collide — use them to your advantage, because it isn’t always as simple as cutting out the EQ you don’t want. But be sure that if your tracks are not dependent on those lower registers that they are EQ’d and compressed properly to blend in with the mix.